Allcare Dental president Robert Bates, DDS, has surrendered his dental license to resolve allegations of professional misconduct by the New Hampshire Board of Dental Examiners, New Hampshire Attorney General Michael A. Delaney announced in a press release. 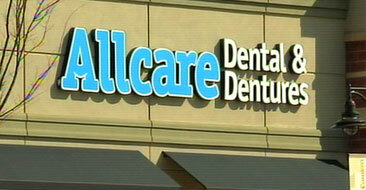 Allcare closed all of its dental offices in 13 states, including two in New Hampshire, in January 2011. Patients arriving for appointments found a note on the door informing them that the offices were closed. Allcare has since filed for Chapter 7 bankruptcy protection in U.S. Bankruptcy Court in Buffalo, NY, according to the release. After Allcare closed, the New Hampshire Department of Justice and the state dental board received more than 143 complaints from patients claiming to have had their dental treatment discontinued, according to the New Hampshire Attorney General's office. Many patients had had their teeth extracted and were waiting for permanent dentures that they never received, and many of these patients had pre-paid for dental care that they did not receive. The PSA test should be abandoned as a prostate cancer screening tool, a government advisory panel has concluded after determining that the side effects from needless biopsies and treatments hurt many more men than are potentially helped by early detection of cancers. At best, one life will be saved for every 1,000 men screened over a 10-year period, according to the U.S. Preventive Services Task Force. But 100 to 120 men will have suspicious results when there is no cancer, triggering biopsies that can carry complications such as pain, fever, bleeding, infection and hospitalization. And if cancer is detected, 90% of men will be treated with surgery or radiation even though most tumors are not life-threatening. Of 1,000 screened men, as many as 40 will suffer impotence or urinary incontinence as a side effect of treatment, two will have heart attacks or strokes and one will develop a dangerous blood clot in the legs or lungs, the task force concluded after a review of the scientific literature. As many as five of 1,000 men who undergo surgery will die within a month. "There is a small potential benefit and a significant known harm," said Dr. Virginia A. Moyer, a professor of pediatrics at Baylor College of Medicine in Houston, chairwoman of the task force. The PSA test, she said, "should not be part of your checkup. "Instead, men who want to protect their health should talk with their doctors about prostate-related problems, such as issues with urinary flow, said task force member Dr. Michael LeFevre of the University of Missouri in Columbia. The digital rectal exam is also an option, he added, although there is not much support for that exam either. With the still-struggling economy, cuts in social welfare, hikes in college tuition and an increasingly divisive society, it's hard to find something to smile about. But there were plenty of smiles Friday and Saturday as about 1,650 people received about $1.2 million worth of free dental services at Modesto Centre Plaza. The first Mission of Mercy clinic in the state drew patients from as far as Oregon, and more than 240 oral surgeons and dentists from Stanislaus County as well as Carmel Valley, Long Beach and other areas throughout the state. More than 1,000 volunteers and 70 sponsors helped, too. The huge public service event was a collaboration of the Stanislaus Dental Society, the California Dental Association Foundation and the America's Dentists Care Foundation, based in Kansas. The day started with X-rays and led to 7,200 procedures, including fillings, infection care, decayed tooth removals, even one-step dentures. Many patients said they could not get regular dental care because of layoffs and cutbacks in Medi-Cal funding. Dr. Andy Soderstrom of Modesto, who spearheaded the day, said some patients were desperate for dental treatment. The need was so great that by 4 a.m. Friday, the line stretched around the convention center. Oregon children have one of the highest rates of dental problems in the nation. But a unique clinic is trying to change that. From the outside, the Tooth Taxi looks kind of like a tour bus. But step inside, you'll find a state-of-the-art dental office on wheels. “We are a dental clinic that provides free care and oral health education to under-served children all over state of Oregon,” said Charlie LaTourette, executive director of the Dental Foundation of Oregon. On Monday, the Tooth Taxi stopped at Rigler Elementary School in Northeast Portland. Students jumped on-board and got a full dental exam complete with X-rays. Some of the kids had only been the dentist one or two times before. “Some have never been to the dentist, so everything is new, so we take the time to explain what we are doing, “ said Dr. Jennifer McLeod, the staff dentist on-board. More than 50 percent of Oregon children suffer from tooth decay. Experts point to a shortage of dental professionals and poor nutrition as causes, but say poverty is the number one reason. Many parents simply can't afford to take their kids to the dentist and that leads to more than just cavities. “Untreated dental decay is the leading cause of absenteeism and the leading cause of not being able to focus ... not being able to do homework,” said Cassandra Griffin, with Upstream Public Health.